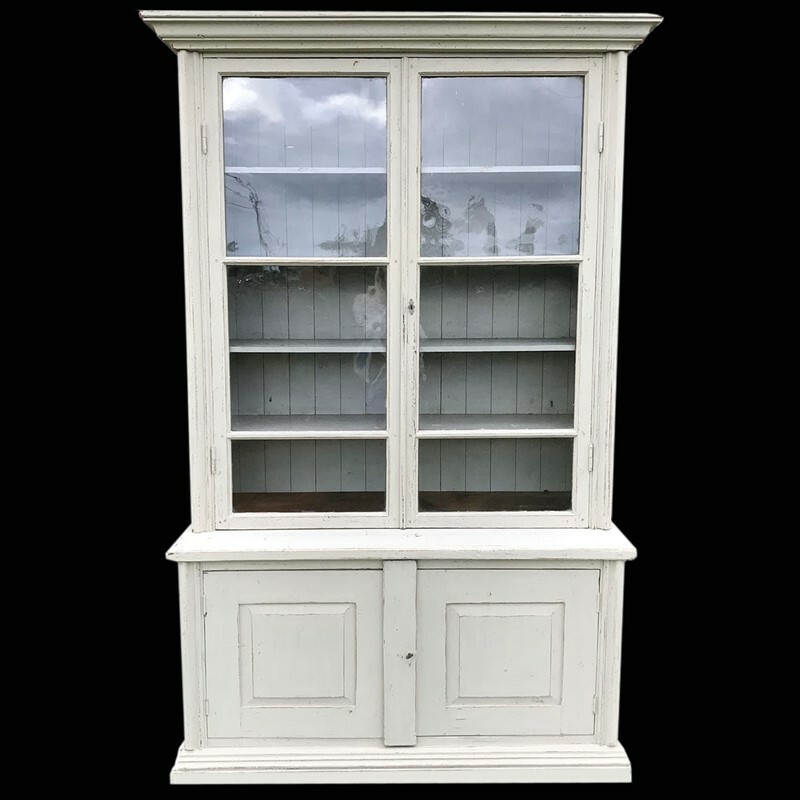 19th Century Swedish Vitrine. Grey/white painting. Inside with gray original painting. Shelves behind glassed doors.